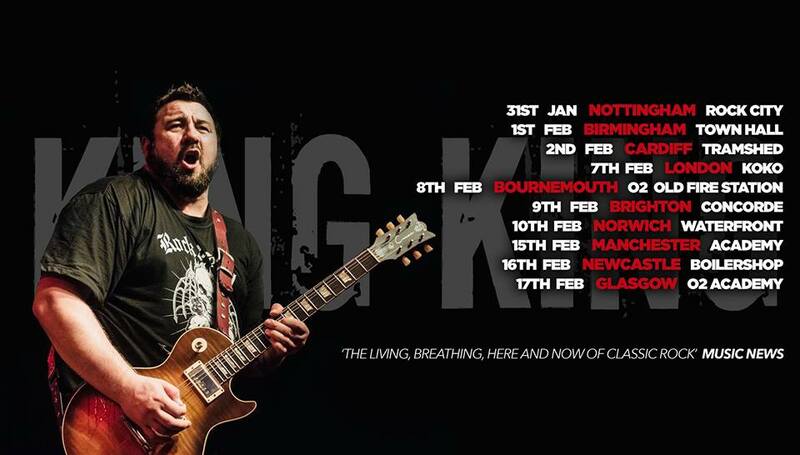 After a triumphant performance at Steelhouse festival in 2018, Glasgow blues rock outfit King King returned to Cardiff on a feelgood day in the capital after the start of the Six Nations tournament which saw Wales beat a rather lacklustre French team and Scotland destroy Italy in Edinburgh despite a late comeback. So, all the Celts were looking forward to a feelgood gig in one of the best medium sized venues in South Wales. Supported by Brooklyn blues songstress Sari Schorr it looked like the crowd were in a good mood. Last autumns release of her second album “Never say Never” and the second single The New Revolution meant we were in for a treat. Supported by some very good musicians (Ash Wilson on guitar, Mat Beable on bass, Bob Fridzema on keys, Roy Martin on Drums) any girl with this grit and a range of five octaves and pedigree of playing at Carnegie Hall was always going to give us an amazing show and what’s more it was in one of the better venues in Cardiff. Opening with ‘New Revolution’ she soon had the VERY partisan crowd on her side. Damn the reason from her first album is all blues from the opening riff, bass line and organ line, then the dulcet tones grab you by the ears and make you fall in lurrv with her. Follow this with the Bad Company classic ‘Ready for Love’ and we all were! ‘King of Rock and Roll’ is one of two tracks I know about the blues guitarist Robert Johnson, (the other is by a local band called Everyday Heroes and really is worth a listen). Both great tracks. Thank you is obviously about a broken relationship, but then what is most blues music written about? The title track of ‘Never Say Never’ is so laid back I felt like I was being lifted away in a blues fest of the first order. Just as I felt I was drifting away my ears were grabbed by the more upbeat ‘Maybe I’m Fooling’ with a Beth Hart sound to the vocals with a gritty rocky edge rapidly followed by Valentina which rocked everyone awake. Wow! That’s how to do the blues, except King King were to follow. If you want to get a crowd on your side enter to a well-known track, King King didn’t need to do this but hey, a vocal “Welsh” crowd singing along to AC/DC’s ‘Highway To Hell’ is always going to be a winner. 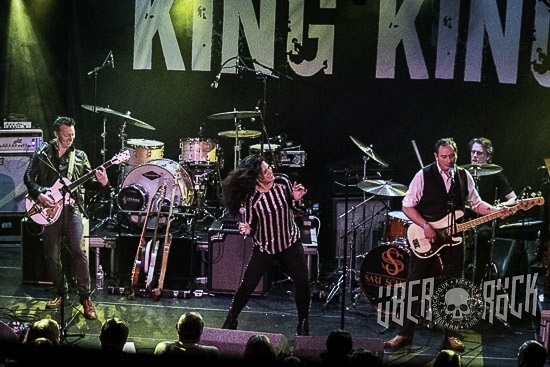 This was my second time seeing KK in under a year, but my first having to really pay attention for this review and taking photos for ÜR to boot, so unlike the first it was a beer free night but not an issue. Two gigs in as many nights with music as disparate as Thy Art is Murder, Killswitch Engage and Parkway Drive and tonight’s offering can be a challenge. 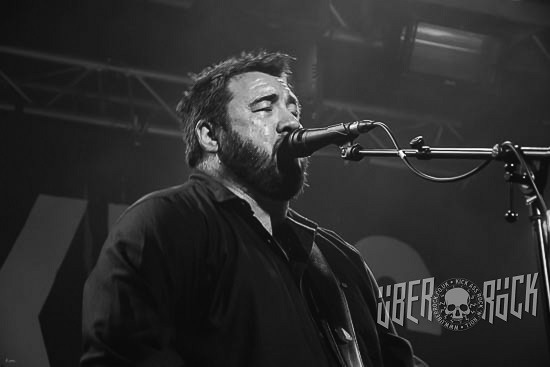 It really looked like Alan Nimmo was enjoying himself on stage all night, with a smile as wide as the River Clyde they belted, cajoled and coerced everyone to enjoy a night of extreme talent. Everyone in the band appeared to be enjoying it too! However, I think the crowd won the enjoyment value. Schmoozing, bluesing and rocking through much of their back catalogue its easy to see why they have been doing this for 10 years. Being on camera duty for the first three tracks, ‘Broken’, ‘Lose Control’ and the crowd pleaser ‘Rush Hour’ (where as always the crowd joined in) made it a bit difficult to see the crowd reaction but I didn’t need to worry, I could hear it between tracks and on the singing during ‘Rush Hour’. ‘Coming Home’ from the ‘Standing in the Shadows’ album, led into ‘Stranger to Love’ where Nimmo came into his own playing a superb solo and Johnny Dyke expertly manipulating the Hammond organ (reminded me of the first time I hear one as a 14 year old in 1974 when I saw the late great Jon Lord with DPmark3 in the Hammy O). Waking up continued in the same vein before She don’t give me no loving raised the bar even further before being followed by ‘Take A Look’ and ‘Crazy’. There is the dedication of ‘You Stopped The Rain’ to both his mother and brothers’ health issues and he had the crowd eating out of the palms of his rather large hands. 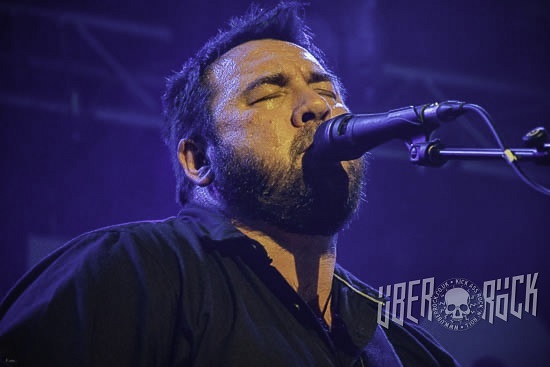 ‘Find Your Way Home’ (dedicated to all fathers out there) was “apparently” the last song…before the encore of ‘Take My Hand’ and ‘Old Love’ left the crowd wanting (but not getting more). A fantastic evening’s entertainment for anyone who loves blues-based rock and even those who just love good music.